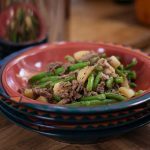 This easy one pot Savoury Mince and Green Bean (Bohnen und Hack) recipe from my friend Sabrina is so much bigger than the sum of the ingredients. 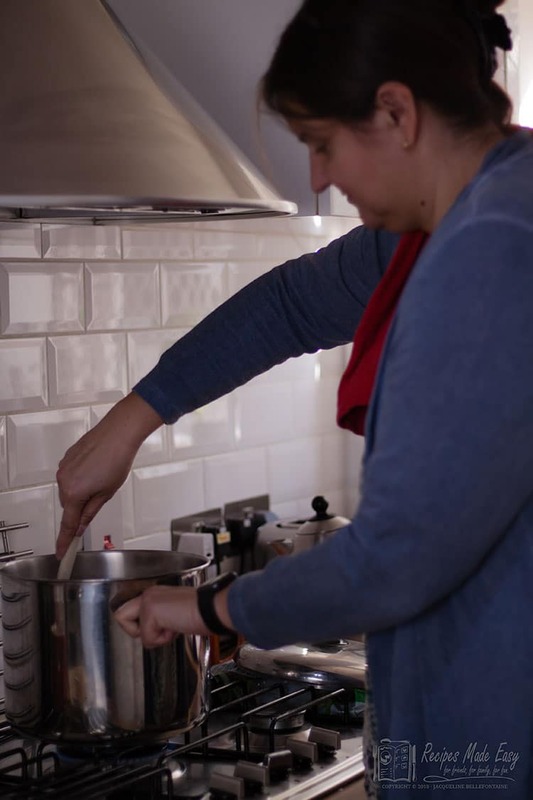 She takes some humble ingredients throws them into a big pot and produces a dish that is totally unassuming, simple and very tasty. If you subscribe to my weekly newsletter or follow me on social media you may have heard me mention Sabrina. Sabrina is my techie friend who helps me out with the technical side of running the blog, she’s my first port of call if something is not quite right on the back end and truth be told there often is. Her help allows me more time to work on the creative side of writing and shooting the food which is much more my thing. Sabrina was born and grew up on a small island called Sylt in Germany. She then moved around a lot before settling for a time in Cologne. She was seconded for work to London in July 2012 ( during the Olympics which would have been a great time to arrive) and has stayed ever since until moving to Bedford a short time ago. Perhaps she got fed up of me asking her to pop round and sort out my site. I first met Sabrina when I invited her to our local dinner club which I was hosting and she stepped in at the last minute after someone had to pull out. Since then she has been to many a dinner at our house, my usual payment for her help. Like most of my friends loves food. 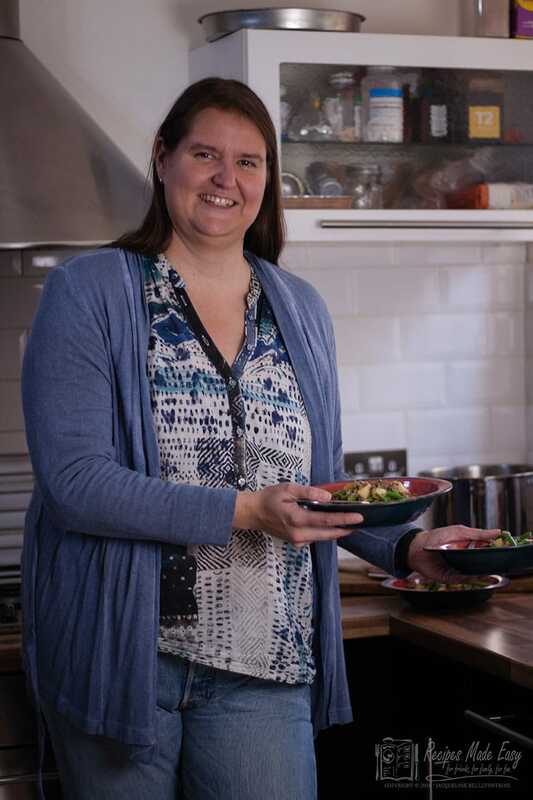 She is a no-nonsense practical cook preferring to make non-fussy dishes and worries far more about the flavour than how it looks. This no-nonsense approach probably comes from her parents, her mum would say “cook slowly” and her dad “cooking is cooking” meaning the dish will be ready when its ready and you can’t make it happen any faster as it only burns faster. 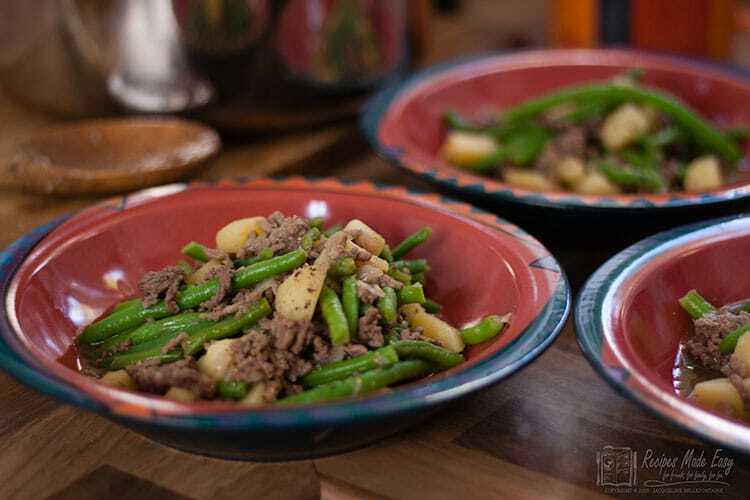 This one pot dish of Savoury Mince and Green Beans or Bohnen und Hack as it is called in Germany is typical of the type of dishes she grew up eating. 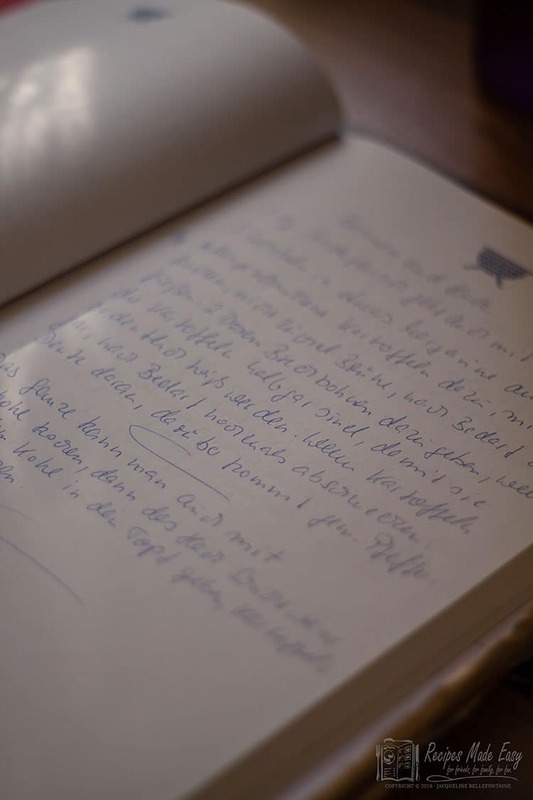 When I arrived to shoot this post she was following the recipe written in a big book which was given to her by her mother when she first left home full of recipes for her to cook from and with plenty of space for her to add her own notes and new recipes. 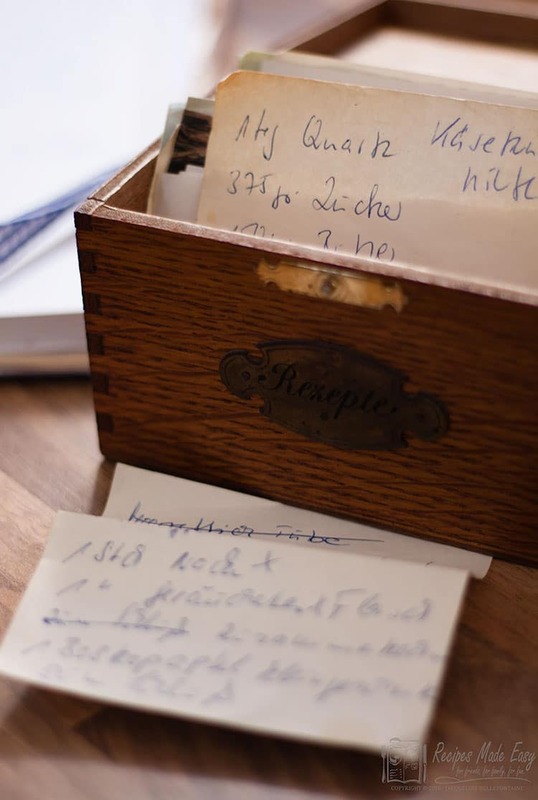 Although she confesses to not writing in it as often as she should, unlike like her mother who was always writing down recipes and keeping snippets of recipes from magazines or passed on from friends. Sabrina now has a pretty wooden box full of these which used to be her mothers, sitting on the kitchen window sill. 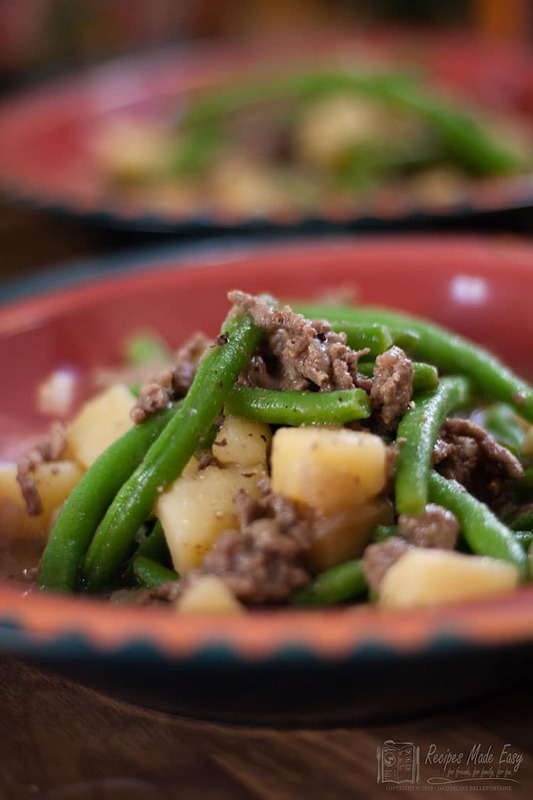 This recipe originally came from Sabrina’s grandmother and has remained essentially the same as it was passed down through the family with just minor changes. First, the onions are cooked in some butter until softened. Next, the mince is added. 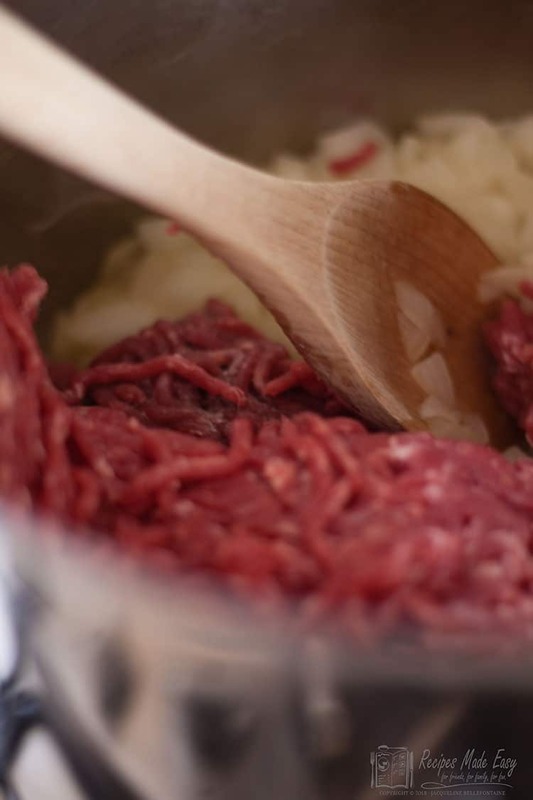 In Germany when you buy mince it is usually a mixture of 50% beef 50% pork but here Sabrina tends to use just beef mince. You could, of course, use half and half if you wanted. 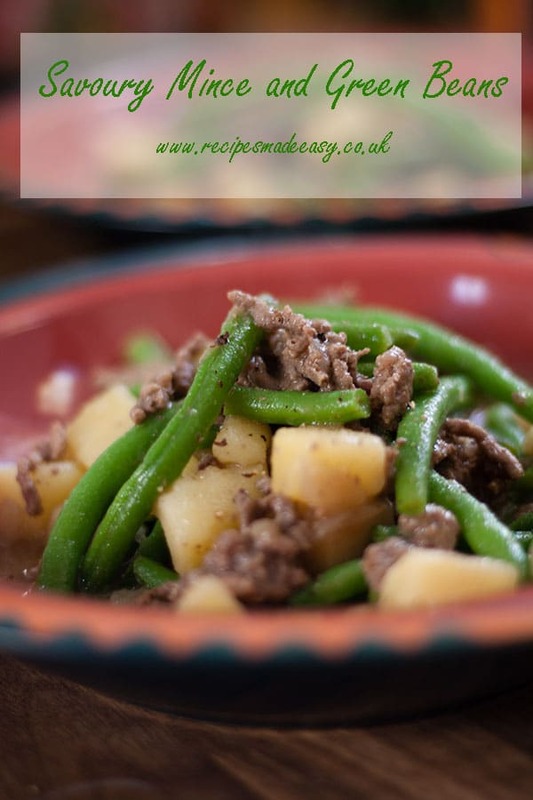 Once the mince is browned all the ingredients except the green beans are added, it’s covered and left to cook for 15 minutes by which time the potato will be just beginning to soften. Sabrina advises using a waxy potato as she like the potato pieces to stay pretty much whole. Her sister, on the other hand, prefers a floury potato so the potato mashes into the mince. I think I’m with Sabrina on this one. Finally, the beans are added and it cooks a little longer until the potatoes are completely tender and the beans are piping hot. My grandmother and mother used to use canned green beans Sabrina tells me but I use frozen beans as they are just as convenient and have a much better flavour and colour. 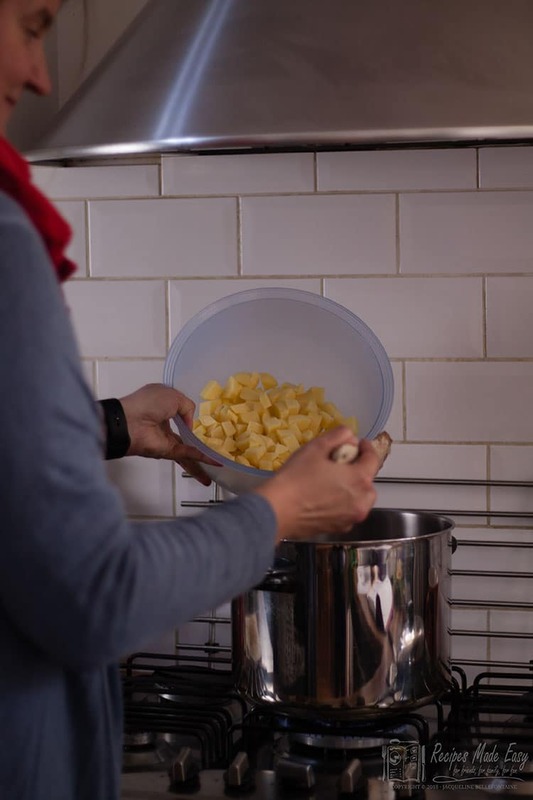 This is a great everyday dish which Sabrina likes to cook in a large batch either to share with friends for a casual lunch or dinner or to pack into smaller containers and eat over a few days. Perfect for someone with a busy working week. We tuck in and Sabrina is a little hurt when I say it tasted much better than expected. I have to explain myself and how sometimes, I am still surprised how, sometimes when the simplest of ingredients are combined in the correct way, they just work. Sure you could chuck in a load of herbs and spices but it really doesn’t need it. It really is a dish where the end result is greater than the sum of the parts. Filling, tasty, quick and easy with very little washing up. Now, what’s not to like about that! melt the butter in a large saucepan over a low heat then add the chopped onions and cook gently for about 5 minutes until softened. Increase the heat and add the mince and cook until browned. Breaking the mince up with the side of the spoon as it cooks. Add the potatoes, stock cubes and water and bring to the boil. Reduce the heat cover and cook for 15 minutes, stirring occasionally. Add the beans, cover and simmer for 10 minutes, stirring occasionally and adding a little extra water if the mince starts to look dry. Season to taste and serve. Click here to see what my other Friends in the kitchen have been making. 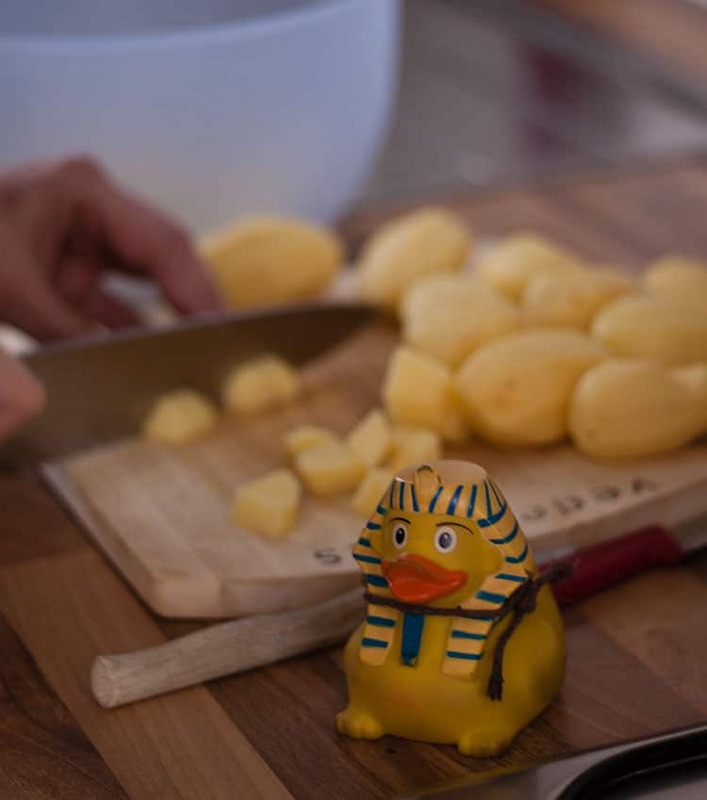 Sabrina is the human behind @emma_the_egyptian_duck on Instagram were you can follow Emma’s Adventures. I love doing the friends in the kitchen series such fun. This recipe ticks 3 big boxes for me – It’s a family hand me down, which I love, it looks like a fantastic winter warmer and it is gorgeously simple! The perfect mid-week meal! Anna, That just about sums it up perfectly. Hello Sabrina’s friend I agree old family recipes are lovely for the memories they create. And no… I don’t move away because of too many problems…. As you have now realised you can phone me instead….